Timed horse riding events for children & adults; fundraisers; poker rides; year-end banquet/awards. To promote the sport of team cattle penning in British Columbia. Bit-a-Bling is a group of girls who have been performing at rodeos, weddings, fundraisers and parades throughout British Columbia for over 10 years. The team specializies in the thrilling and entertaining sport of Grand Entry. Cloverdale and Barrier are rodeos they routinely perform at. Welcome to Canadian Horse Heritage and Preservation Society. We welcome both owners and admirers of the breed, from any geographic location, regardless of whether or not you own a Canadian Horse of your own. Our objectives are to help preserve the traditional type of Canadian Horse, to educate ourselves and others about the breed and to sponsor relaxed, fun events which help to foster the above. A non-profit group dedicated to the care and understanding of donkeys and mules. The GCHC is a non-profit society horse club founded in 1951 The Garden City Horsemen's Club is a trail riding horse club on Vancouver Island that participates in trail development and maintenance. We organize monthly rides ranging from day rides to 10 day rides. We have overnight camping facilities for us and our horses on Vancouver Island's Malahat near Oliphant Lake. We represent the interests of horse owners. We organize annual rides such as the 100 Mile Ride, Poker Ride, 50 Mile Ride, 25 Mile Ride, St. Patrick's Day Ride, Father's Day Ride, Not Yet Winter Ride, New Year's Day Ride, and many more. We organize Playdays, Easter Egg Hunts, and more. Go to www.gchc.info for more info. Interior Draft and Teamsters Association is a club for anyone who has an interest in horses. We are based in Kamloops but have members from all over the Southern Interior. Most of our members have Draft Horses but we also have a few saddle horses and ponies. Our events include Wagon/Sleigh rides, we promote old farming methods with a spring plough & grain planting, a summer hay cutting, a fall grain harvest, a summer camping trip and some members compete in driving competitions and horse pulls. To promote equine driving and starting new drivers. Younger and older members. PANORAMA RIDGE RIDING CLUB BECAME A SOCIETY IN 1972. The club is located at the north end of Joe Brown Park in Surrey off 125A St at 54th AVe. Trails and gravel roads join us to the Delta Watershed Park. Jumper Schooling Days occur May through Sept, as seen at www.prrc.org Canadian Pony Club holds three Prince Phillips Games Days at PRRC. See the calendar on the website. 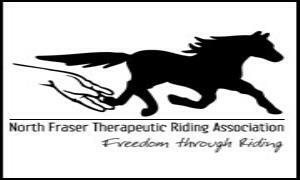 Local riding club servicing West Shore (Victoria) based out of Sooke and Metchosin. Providing therapeutic equestrian programs since 1983.